Hi I am Christoper Allan Mandayo. I am from Batangas, Philippines. I am looking for a part time or full time work. 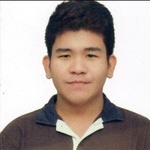 For my work experience, I worked as a data entry analyst for...Read moreHi I am Christoper Allan Mandayo. I am from Batangas, Philippines. I am looking for a part time or full time work. For my work experience, I worked as a data entry analyst for already 2 years. I am using MS Excel to key in my research, for example the company information, contact number, linkedin contact person, etc. I also have an experience encoding information into a system from an image file, and I must say that my work is 100& accurate, and I think I can do the job well done. I became a part of the project of Corelogic here in the Philippines and we processed real estate documents of every states in USA like Deed of Trust, Mortgages, CEMA, etc. I also had an experience of online data entry as my part time work, and i am very accurate to my work. My recent online job was to encode the CV of all the applicants into the database, and also sent emails to them. I can also do some admin work and good at research. I am willing to learn more if necessary for the job to accomplish it accurately and precisely.